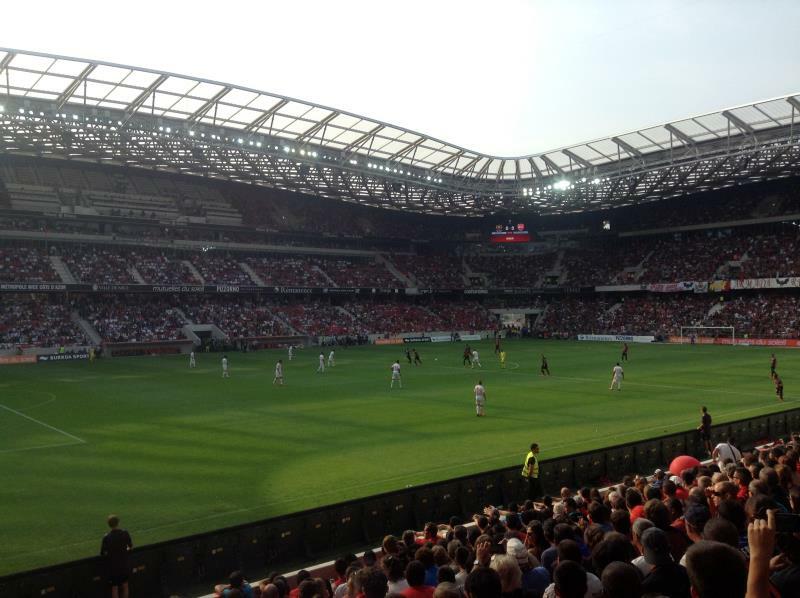 The Allianz Riviera, also known as Grand Stade de Nice, is the recently opened new stadium of OGC Nice. A new stadium to replace their old and run-down Stade du Ray had been a long time wish of Nice. Earlier projects were abandoned in 2002 and 2006, and it was only after France got awarded the Euro 2016 tournament that significant progress was made. Definite plans of the stadium were presented in the middle of 2010, and one year later, in August 2011, construction started. The stadium came at a cost of an estimated €245 million, part publicly and part privately financed. 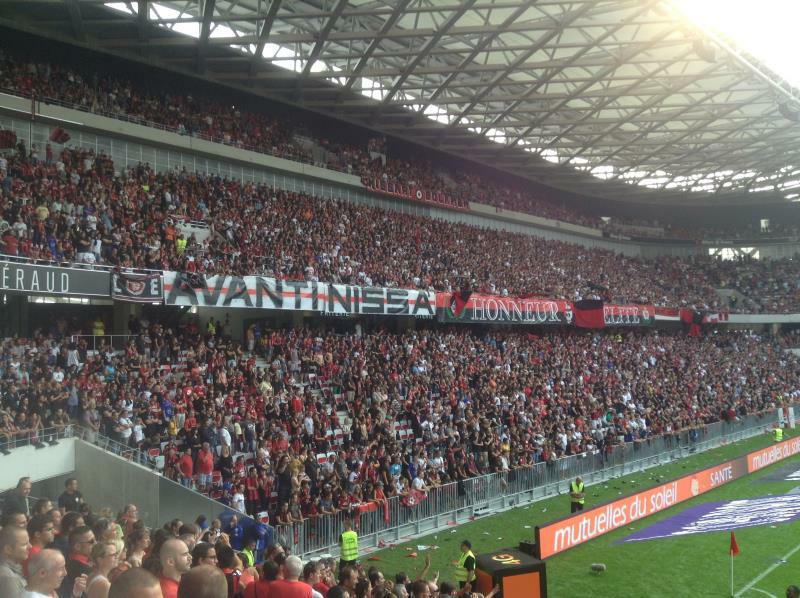 In 2012, Nice announced a naming rights deal with insurance firm Allianz, resulting in the name Allianz Riviera. 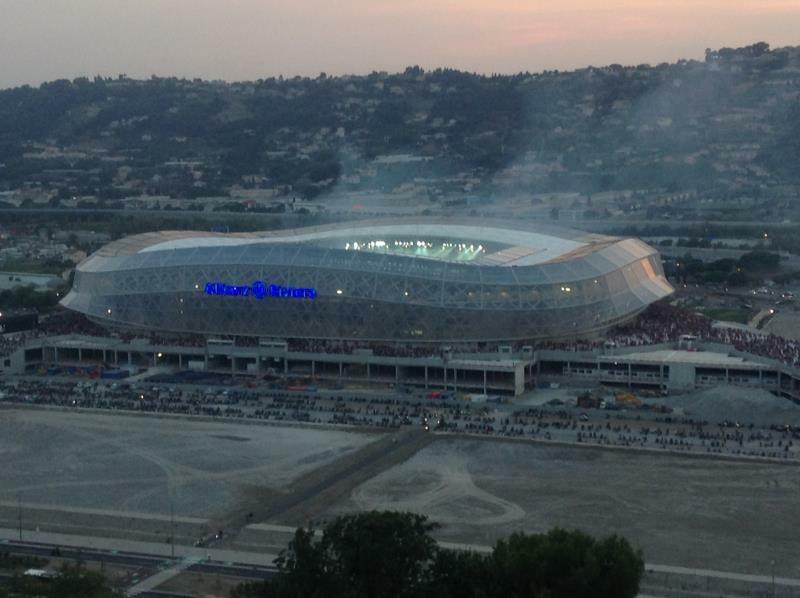 The Allianz Riviera officially opened on 22 September 2013 with a league match between Nice and Valenciennes (4-0). During the Euro 2016 Championships, the stadium hosted three first round group matches and the round of 16 match between Iceland and England (2-1). The Allianz Riviera is located in the western suburbs of the city of Nice at about 10 kilometres from Nice’s city centre and about 5 kilometres from Nice International airport. The stadium lies right on the A8 motorway, which runs north of the city of Nice all along the French Riviera. Take exit 52 to get directly to the stadium, though other parking areas are easier reached via exit 51. If coming from central Nice, it is easier to take the Route de Grenoble north from the Promenade des Anglais near Nice International Airport. If using public transport, you can reach the stadium with special matchday bus service 95, which runs from Hôpital St Roch in Nice’s city centre. The journey takes about 50 minutes. The route of regular line 9/10 is furthermore extended so that it serves the stadium, though the journey takes about 75 minutes. Alternatively, you can take a TER train from Nice-Ville main rail station to St Augustin station, from where shuttle buses run to the stadium. Finally, you can catch a Chemins de Fer de Provence commuter train to Digne and get off at station Saint-Isodore, from where it is a 10-minute downhill walk to the Allianz Riviera. Trains only run a few times a day, but extra trains run on event days. Trains leave from Chemins de Fer de Provence rail station, which lies a 10-minute walk north of Nice-Ville station. 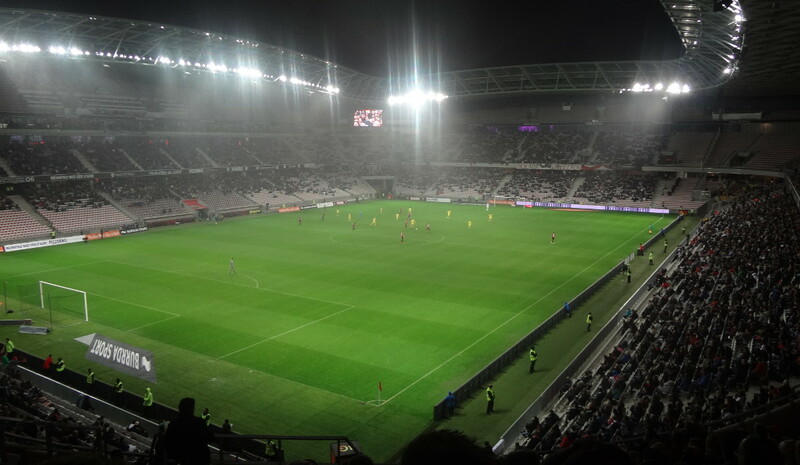 The Allianz Riviera is located on the edge of Nice in a semi-rural area which is a mix of farmlands, housing, and some offices and light industry. There is not much around in terms of entertainment, though if you have some time to spare and need something to eat or drink, you will find a few places around rail station Saint-Isidore. Otherwise, eating and drinking is better done in central Nice. There are two hotels near the Allianz Riviera, both in the vicinity of Saint-Isidore: Servitel Nice Saint Isidore gets the better reviews, while the Kyriad Nice is a little more affordable. Both are a 10-minute walk away from the Allianz Riviera, and will likely most of all appeal to those arriving by car. Otherwise, there are various options near Nice Côte d’Azur Airport, which is not too far away and close to St Augustin station from where shuttles buses run to the stadium. Most people, however, will choose to stay in Nice’s pleasant city centre. Tickets for Nice games can be bought online through the official website, Auchan, and Ticketmaster (the former does not accept all foreign credit cards). Tickets can furthermore be purchased at the club store at the Place Masséna in Nice’s city centre, or via the Francebillet and Ticketmaster sales outlets. Ticket prices depend on the opponent, but typically range from €10.00 for a seat behind the goal to €50.00 for a central seat at the main stand. Ogcnice.com – Official website of OGC Nice. Allianz-riviera.fr – Official website of the Allianz Riviera. Nicetourisme.com – Website of the Nice tourist office. Lignesdazur.com – Nice public transport information.